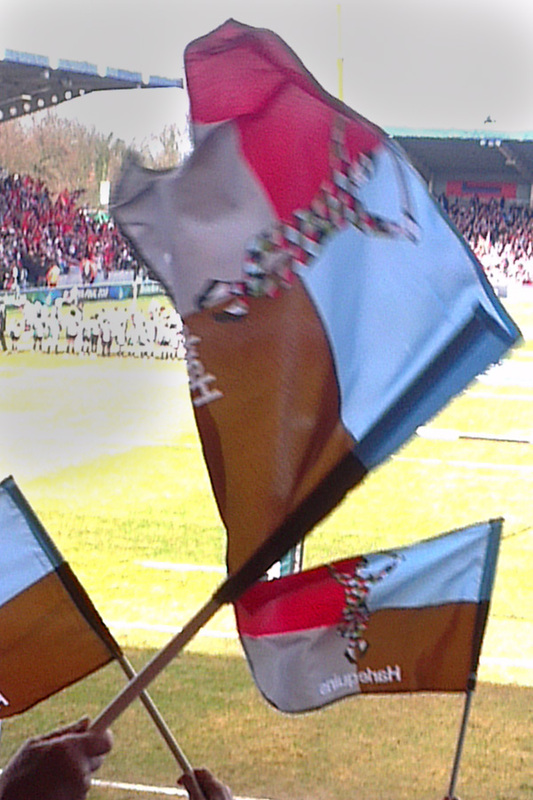 Co-Prom are delighted to announce that we have just fulfilled an order to supply The Harlequins RFU with face paints and flags for their supporters to purchase at the shop on game day. Harlequins RFU ordered some bespoke coloured face paints in time for delivery for a recent home game. They were supplied in team colours including their logo printed one side. Minimum order quantity 2,000 pcs. @ 79p each + v.a.t. including shipping by air. Lead time 6-7 weeks. 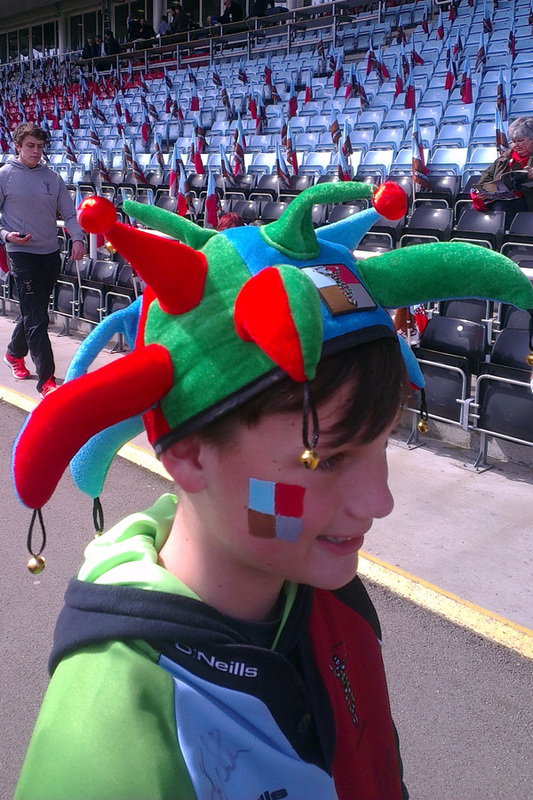 Co-Prom also recently supplied Harlequins RFU with flashing jester hats and supporters flags.